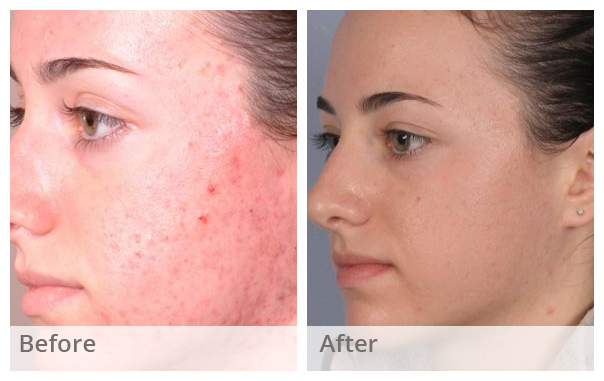 The Harley Laser Specialists provide treatments for Acne, Scarring, Pigmentation, Rosacea, Aging Skin, Dry or Dehydrated Skin, Oily Skin, Sun Damage. A Chemical Peel is a rapid renewal procedure that lifts dead cells off the surface of skin and stimulates reproduction in the living cells beneath. I peel products utilized the most scientifically advanced formulas, and are designed for maximum results. Skin Peels renew skin by peeling away upper epidermal layers, revealing new skin below. Perfect for acne, discoloration and pigmentation. A consultation is necessary prior to the treatment. The peelings are procedures capable to correct marks, spots, many of the alterations of aging and to improve the appearance and the quality of the skin. The peeling removes a layer, that soon is regenerated and it receives a new aspect through cells that stay in certain points of the skin and with reproduction capacity. Dividing the two layers, it is the basal membrane, responsible for the regeneration of the skin. The basal membrane is continued by the annexes of the skin, as the pilous follicle and glands. It is the basal membrane that is responsible for the regeneration of the skin after deep peeling. Explaining in a simple way, the peeling removes layers of the skin and it creates a cellular regeneration starting from the basal layer and from the annexes that will generate a better skin.